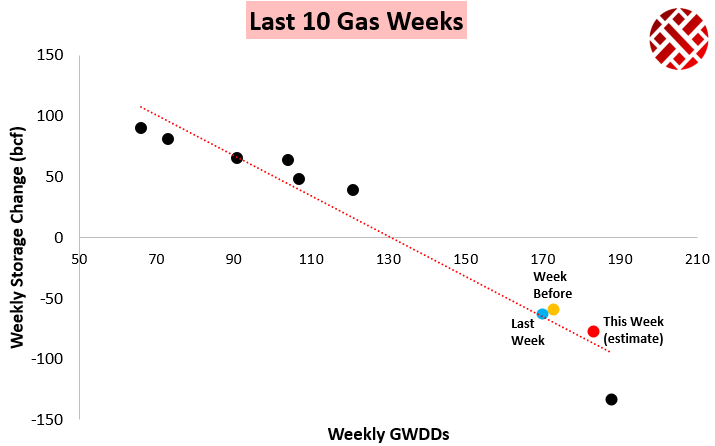 January natural gas price started out the day shooting higher, as overnight models increased long-range cold risks. This morning we highlighted that $4.25 was likely to be tested on overnight long-range GWDD additions. 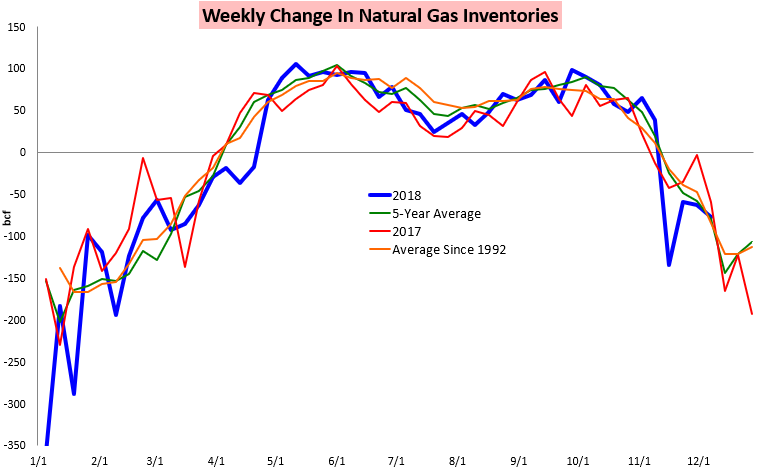 That test came quickly this morning, but the EIA announced that only 77 bcf of natural gas was drawn from storage last week versus our estimate of 82 bcf, hitting prices lower. 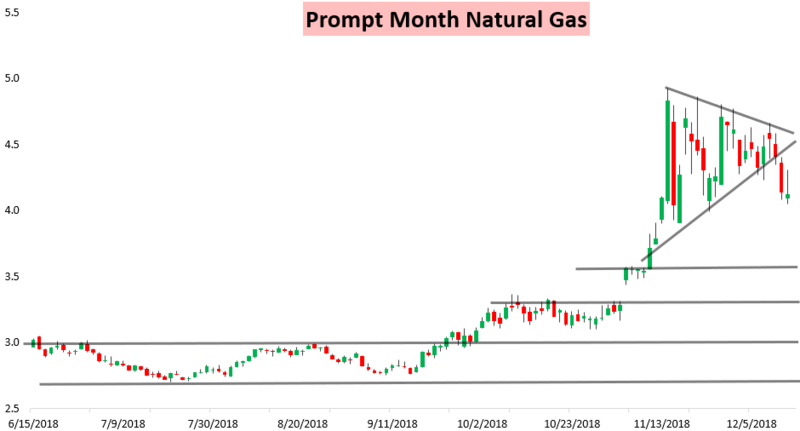 Immediately in our EIA Rapid Release we warned that, given recent balance and weather trends, we saw this EIA report as slightly bearish for natural gas prices moving forward. 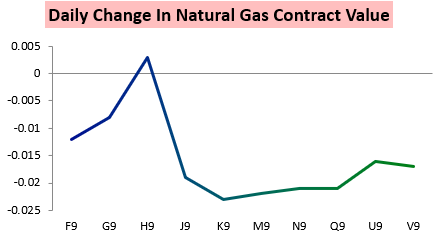 Sure enough, natural gas prices quickly reversed lower through the day, with the January contract actually settling down slightly on the day. The March contract ended up being the only one to log a slight gain. The result was another move lower in the January/March contract spread, though the move was not nearly as large as some of the other ones we have been more accustomed to seeing. Prices were further depressed by afternoon model guidance that did not show nearly as many long-range cold risks. 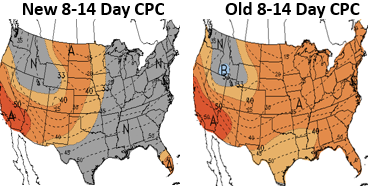 Climate Prediction Center forecasts did show fewer warm risks in Week 2, but still do not show any cold risks even as models last week showed cold could be returning by Christmas-time. 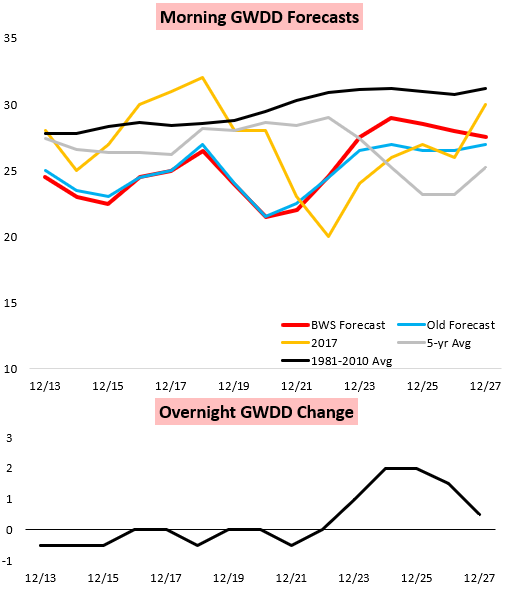 It was clear that this combination of bearish weather models and a slightly looser EIA print hurt natural gas prices, as we saw this print come in slightly looser than last week's on a weather-adjusted basis. 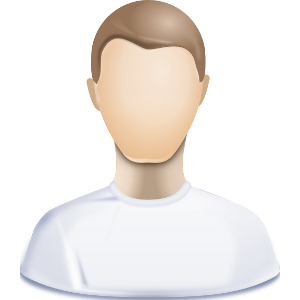 Traders now will be preparing for another weekend of weather changes, managing risk before this two-day trading halt where we can again expect decent weather model noise and changes.